Julie and Scott got married during my favorite time of year (fall) at a gorgeous barn outside of Pittsburgh. 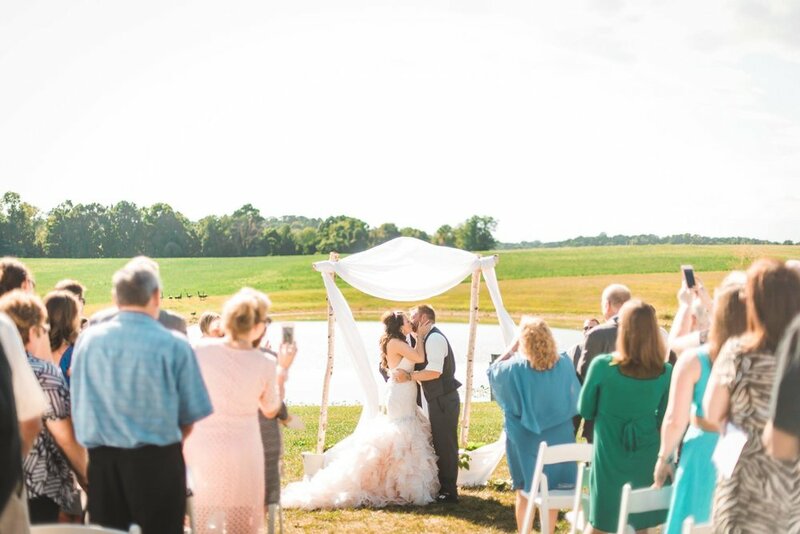 The White Barn is such a versatile venue, offering pretty lake views, a little grove of pine trees perfect for portraits, and a lovely span of fields. The pair got ready separately, with Julie making a pit stop between the salon at Studio Raw and the bridal suite at the barn. She made a detour to do something near and dear to her, to visit her late father's grave. It was such a sweet moment to witness. Once Julie got to the barn, she began to get dressed for the ceremony. 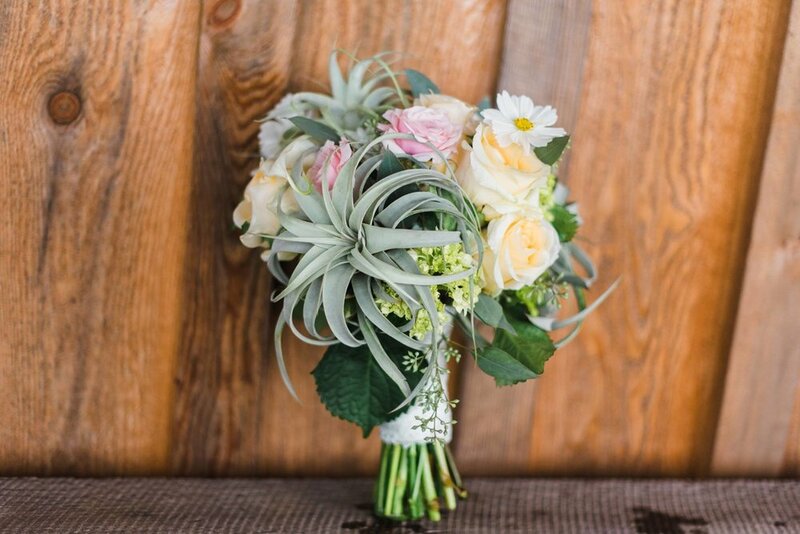 Her whole bridal look was so bold and perfect for the farm, rocking a blush dress and heels, and having big, fun air plants in her bouquet from the Farmer's Daughter. 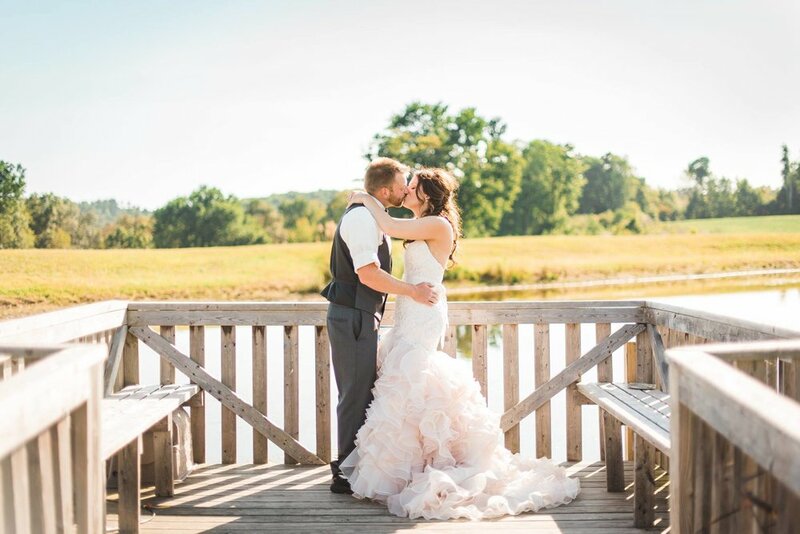 Julie and Scott held their ceremony by the lake at the White Barn. 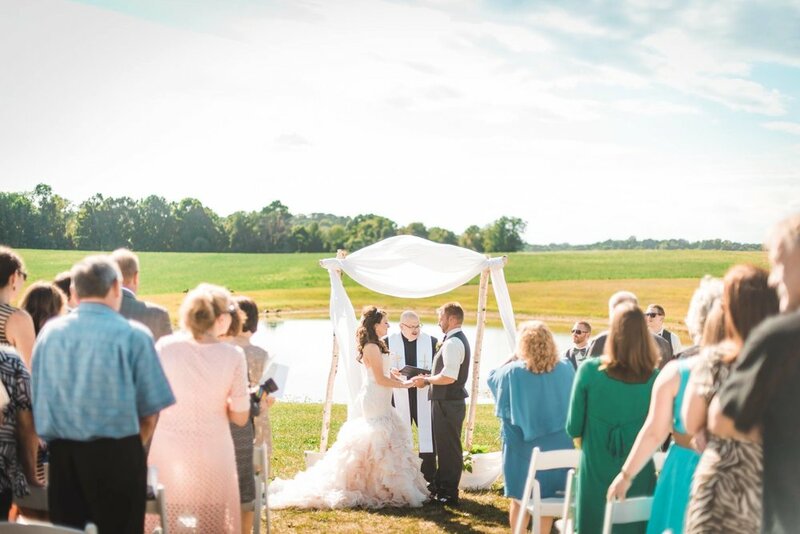 The sunny day made for dramatic ceremony lighting, highlighting Julie's gorgeous soft pink dress against the greens of the fields. After the ceremony, the newlyweds explored the farm for portraits. 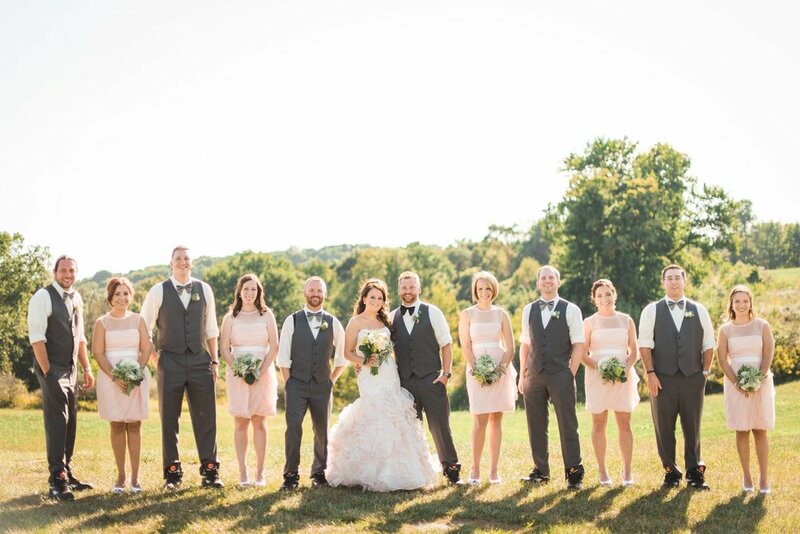 Since the ceremony lighting was so perfect, for bridal party photos we stayed close to the ceremony space to really take full advantage of the beautiful light. From there, I took Julie and Scott for some intimate photos on the lake, having a sweet slow dance on the dock. 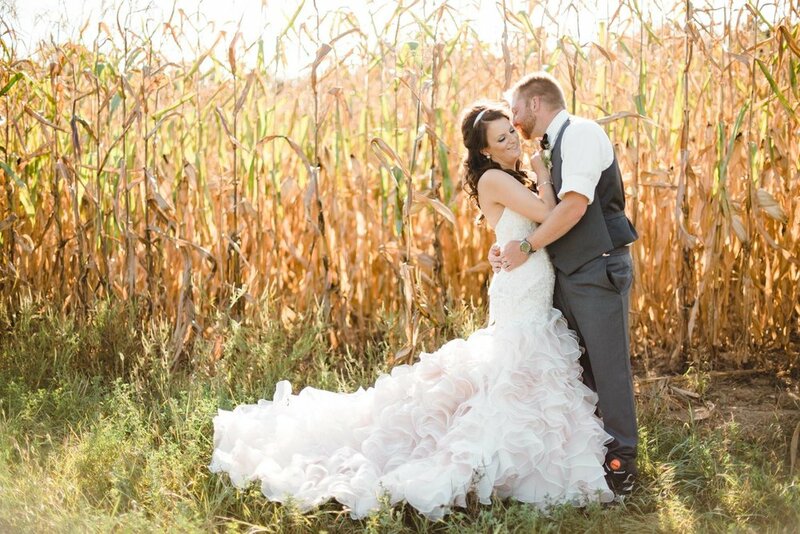 After wrapping up around the ceremony space, we headed over to the tall corn fields, a beautiful fall feature at the White Barn. 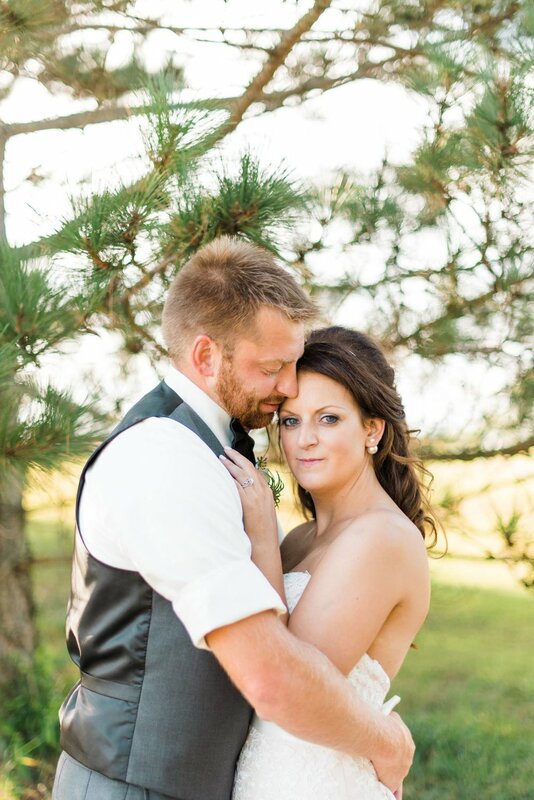 As the sun streamed through the tall stalks of corn, the couple snuggled up for some portraits. After we wrapped the portraits on the other side of the fields, the pair headed into the reception space to kick off dancing. After the pair tore it up on the dance floor, the pair ended their magical night with a gorgeous sparkler exit.